Feel like a delicious lunch, a quick bite or just a quick refreshment but worry about where you can leave your pets? 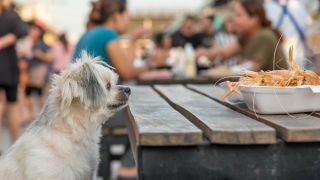 There are restaurants and bars where pets are welcomed and you can enjoy a meal in their company. The kind waiting staff will also make sure your pet isn't thirsty! Browse the list below and choose your new favourite location. Spoil yourself and your four-legged friends.